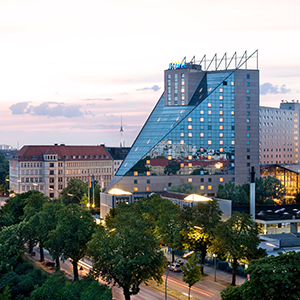 How the Estrel Berlin practices Freedom and Social Responsibility. How you can meet Germany at IMEX America, and IBTM World. 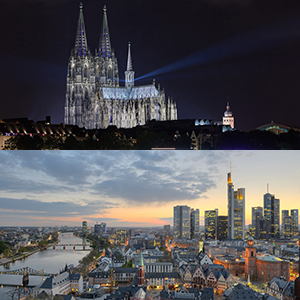 Learn more about this years Edu Trip to Cologne and Frankfurt. Taminas and Lindas takeaways from their past Edu Trip. How mobility forms and concepts can help cities reduce CO2. Throughout the ages, the ideals of freedom & responsibility have been held paramount by the world’s greatest thinkers. Today, these ideals are very much the representative characteristics of the city of Berlin. Much like a two-sided coin, freedom and responsibility are the city's best practices. Are you wondering where to meet great German exhibitors this year? There are two upcoming opportunities in autumn 2019. 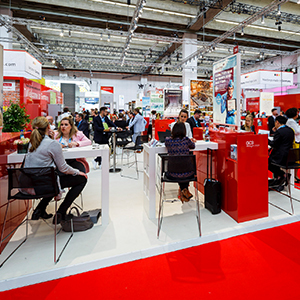 Mark the dates for IMEX America (September 10-12, 2019 in Las Vegas) and IBTM World (November 19-21, 2019 in Barcelona) in your calendar! The German Convention Bureau, Cologne Convention Bureau and Frankfurt Convention Bureau invite you to experience Cologne and Frankfurt this summer! Experience German hospitality in these vibrant destinations where world-famous architecture and breath-taking sites offer you plenty of options as well as industry expertise for your successful event. During your 4-day trip, you will experience the combination of history and modernness in both cities. Find out what we have planned for you! 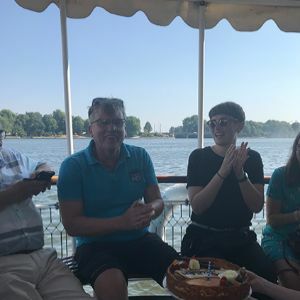 Our Regional Managers Linda Nuss (USA/Canada) and Tamina Rügemer (Europe) had a chat about their own experiences at past GCB Educational Trips and how participants nowadays want to be actively involved to be able to suggest a destination or a venue. Knowledge transfer therefore needs to be more interactive, collaborative, mobile and experience-oriented. 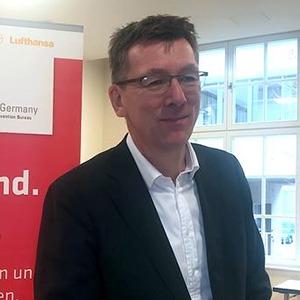 Our Managing Director Matthias Schultze met with Ulf Middelberg, Managing Director of Leipziger Verkehrsbetriebe (Leipzig Transport). Together they discussed intigrated mobility concepts, and how they are being used in Leipzig.